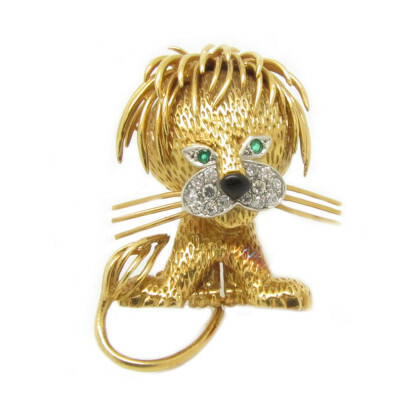 Description: Van Cleef & Arpels Lion Brooch in 18k yellow gold set with two fine Emerald eyes and pave set with 14 Brilliant Diamonds and black enamel nose. 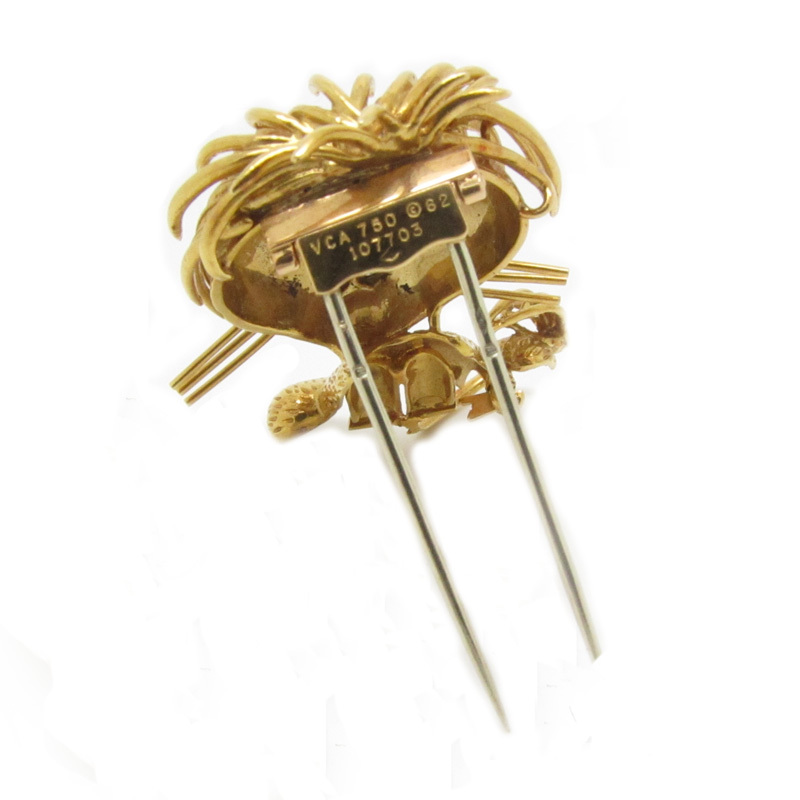 The piece has VCA makers marks and serial numbers. Condition: Pre-Loved and Refurbished, Excellent. 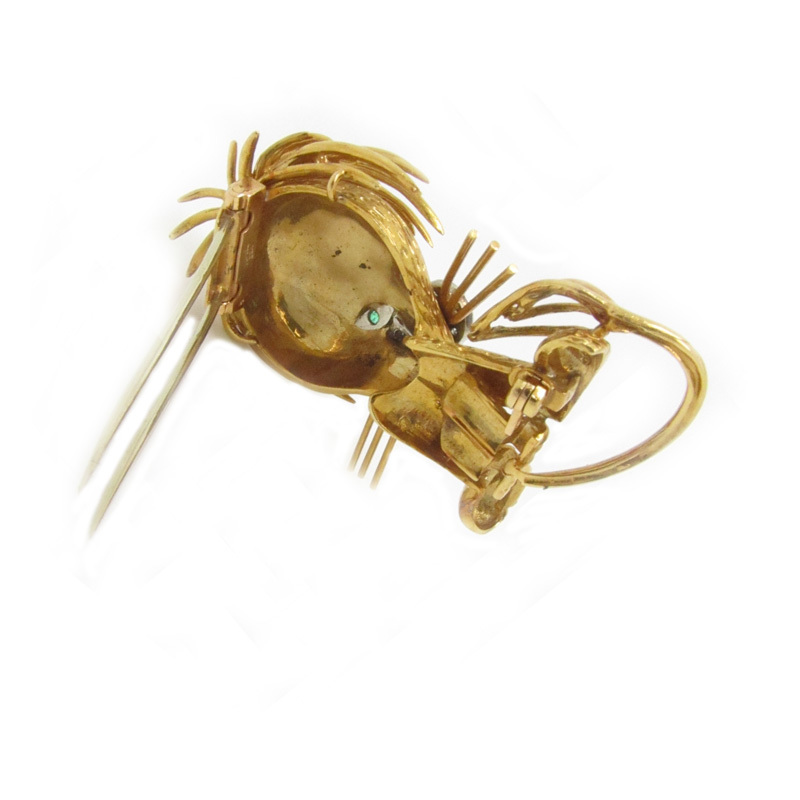 The brooch comes in a presentation box with our own certificate of authenticity and a valuation certificate.